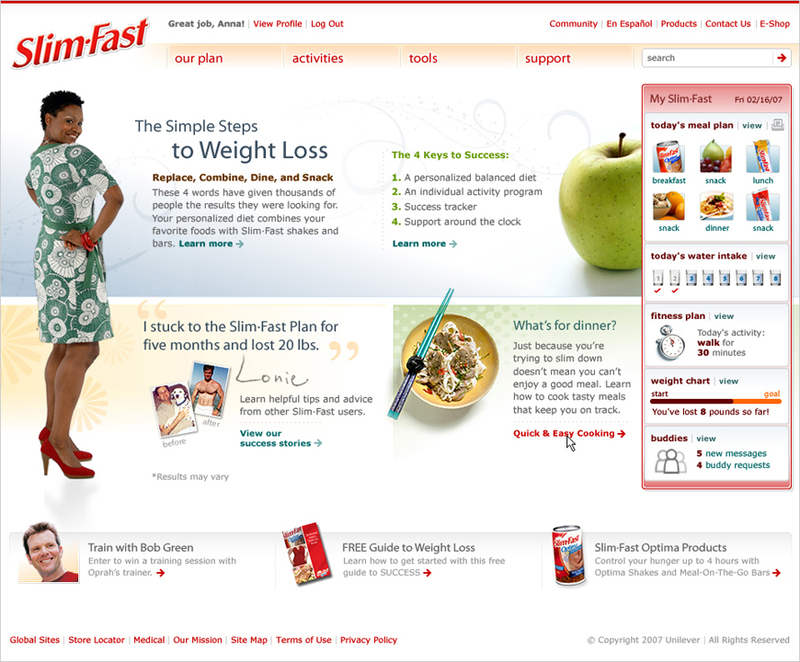 Redesigned Slim-Fast.com, which needed a fresh look to inspire users to “Find Your Slim” while still tying in to the recently redesigned non-registered users site. The project was on a tight deadline for a Memorial Day launch. The new site allowed members to choose their “type” and connect online with the Slim·Fast community for support with achieving their weight loss goals, living a healthier, more active lifestyle, and feeling good about themselves at any weight.